The online Doctor of Education in Kinesiology is an interdisciplinary degree program specifically for practicing professionals who have a minimum of three years' experience and desire a doctorate focused on scholarship and professional practice in leadership, advocacy and teaching. 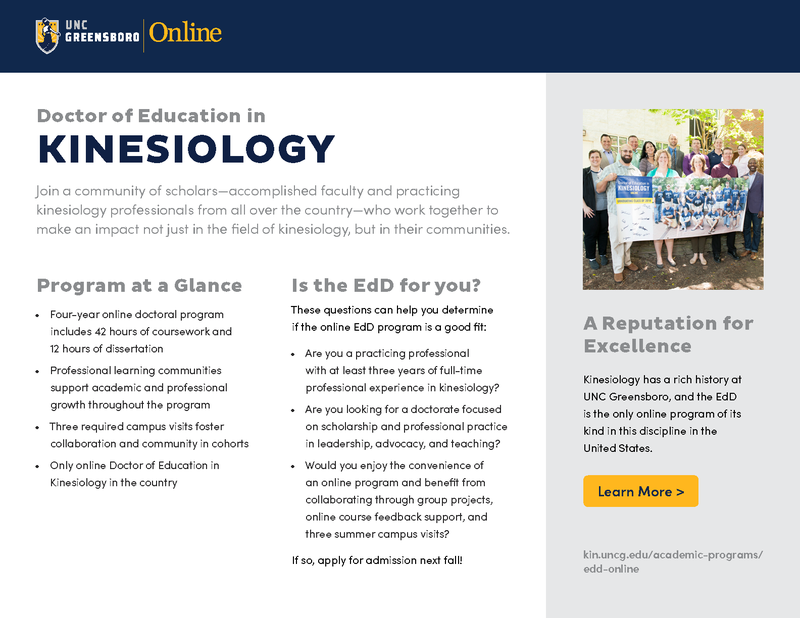 The online EdD in Kinesiology enables students to advance in the field as a leader, teacher or advocate and addresses current professional practice issues from an applied, interdisciplinary perspective. Ready for a closer look at the online Doctor of Education in Kinesiology? Our brochure provides complete program details, admission deadlines, start dates and graduation requirements.